Jessie Armwood, Jr., affectionately known as “Bud,” was born April 26, 1933 in Clinton, North Carolina, to the late Annie Ameila and Jessie Armwood, Sr. He departed this life on Monday, April 2nd at Nanticoke Memorial Hospital. He was 84 years old. He was united in holy matrimony to the late Margaret Williamson, on May 14, 1955, cherishing 51 years together. Within this union, they were blessed with five children. Throughout his years, he was employed at Swift and Company and H.P. Cannon. He would later pursue his passion as a full time barber and opened his own business, known as Bud’s Barbershop. He ran his barbershop until his final days. Jessie was a retired member of the Buffalo Soldiers Motorcycle Club of Delaware. He also was a former member of The We Care Truckers Organization. He loved quartet singing and sang with The Southern Echo’s and The Delaware Gospel Quintet. Jessie was a faithful, dedicated member and Deacon at Greater Faith Temple COGIC for more than 45 years. He taught Sunday school, sang with the Senior Choir and help with the church maintenance and grounds. Jessie enjoyed having fun and making others smile with his quick wit and humorous personality. He met no strangers and loved his family. He was a great provider and loved working in his garden, outside in the yard, antique vehicles and riding his Harley Davidson. In addition to his parents, he was preceded in death by one sister, Scotty Rea Faison and one brother, Thomas Earl Armwood. 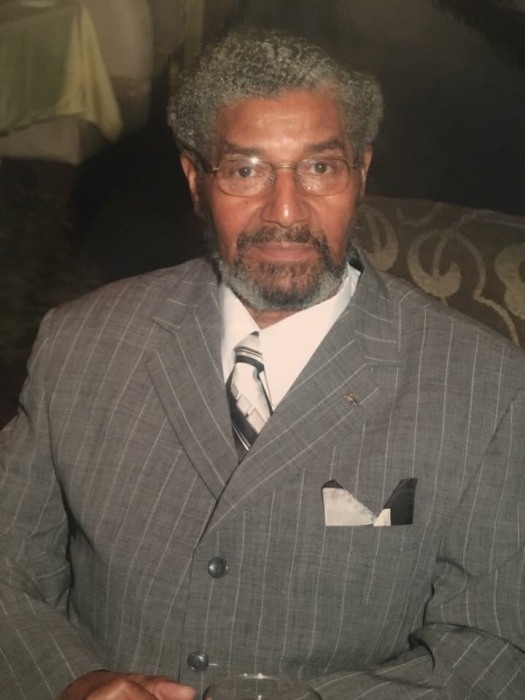 He leaves to cherish his fond memories five children, Sufrona Carroll of Bridgeville, DE; Vernell Armwood, Sr. (Lisa) of Seaford, DE; Antonio Armwood (Bernice) of Seaford, DE; Christopher Armwood of Salisbury, MD; and Jessica Johnson (Ta’var) of Bridgeville, DE; 11 grandchildren Nakesha Taylor (Anthony) of Seaford; Quentara Carroll of Millsboro, DE; Quentin Carroll, Jr. of Bridgeville, DE; Vernell Armwood, Jr. of Seaford; Brittany Bowden of Felton, DE; Whitney Bowden of Selbyville, DE; Lashonda and Sha’niece Stanley of Bridgeville, DE; Destany and Terrence Armwood of Bridgeville, DE and Cedric Smith of Bridgeville, DE; six great grandchildren, Brian Fisher and Kiera Taylor of Seaford, Marquise and Michael Carroll of Millsboro, DE; Zayden Stanley of Bridgeville, DE; Jaxon Bowden of Felton, DE; three sisters, Joyce Warren (Randolph) of New Haven, CT; Linda Maker of Seaford, DE; and Jennifer Moore (William) of Bridgeville, DE; two brothers, Jay Armwood (Elizabeth) of Bridgeville, DE; and Terry Armwood (Ruth) of Sandy Creek, NY; one brother-in- law, Lynn Williamson (Dorothy) of Goldsboro, NC. ; three godchildren, Shea Foreman-Collins, Terryn Richards and Ebany Fillyau; and a host of nieces, nephews, cousins and friends. A Celebration of Life Service for Jessie Armwood, Jr. will be on Sunday, April 8, 2018 at 1:00 PM, Greater Faith Temple COGIC, Coverdale Road, Bridgeville, Delaware. Family and friends may call for visitation and viewing from 12:00 PM to 1:00 PM. The committal will immediately follow the Celebration of Life Service at St. Matthew’s First Baptist Church, Laurel, Delaware. Bishop Paul R. Harmon will be the officiant and Elder Christopher Armwood will be the eulogist.